Carter’s Wonder Woman was both kind and fierce; and often that kindness would nearly lead to her undoing. But she never let the fight break her humanity—she stayed true to herself. As a kid, especially as a girl, that was a powerful message. You can be strong, fight back, push up, and still have compassion for others, even your enemies, and especially yourself. It was a bit of a My First nolite te bastardes carborundorum. 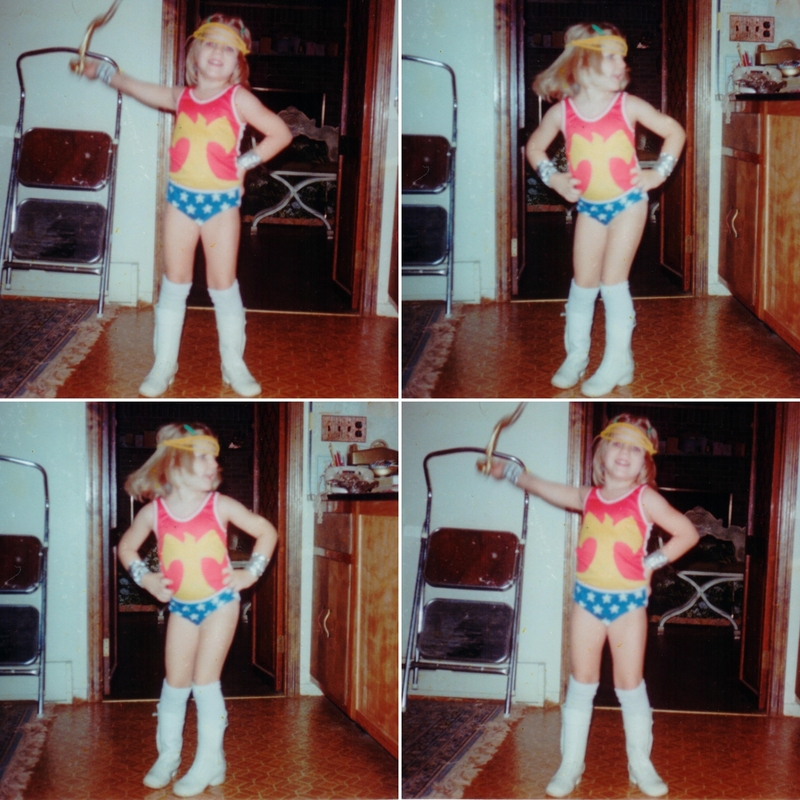 These pictures capture my complete adoration of Wonder Woman. Look at my face! I’ve spent decades trying to regain this girl’s pure, fearless, unabashed confidence. All this to say, you can imagine how quickly I jumped at the opportunity to write about Wonder Woman for Entertainment Weekly’s The Ultimate Guide to Wonder Woman. If the internet was actually a series of tubes (remember the halcyon days when that was the dumbest thing a senator might say? ), my email reply would have left burning tire tracks à la Back to the Future. Re-watching the old Wonder Woman episodes for these pieces was a trip. Let’s talk about how hour-long episodes of television in the 70s were pretty much a FULL HOUR of programming. Gather round kiddos while I boggle your mind with my tales of a time before commercials gobbled up 1/3 of any given time slot. Also, the pacing on the old episodes was so much slower than the non-stop, quick-cut action scenes we get today. Long shots lazily panning over miles of landscape, extended close-ups of characters thinking. It was jarring to jump back in to modern television pacing after spending a couple of weeks back in the 70s. Some of the plots were completely bonkers (I got to rank a few of them in this issue). Season 1 was set in the 40s, so lots of WWII themes. But seasons 2 and 3 were polyester-packed and disco-riffic in all their 70s glory. Diana Prince’s wardrobe? Amazing. 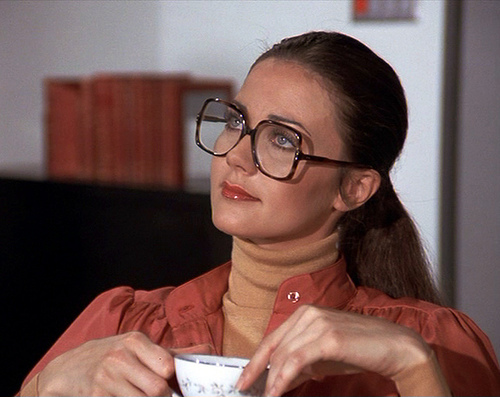 I still aspire to rock a sleek ponytail and big glasses the way she did. Despite the many ways the show is dated, Carter’s Wonder Woman still stands up and I’m so grateful I had her as a childhood hero. I hope the new movie can bring that same inspiration to a whole new generation of kids. *Forever bless the babysitter who let me watch RHPS when I was nine—most of it went right over my head; Tim Curry did not. Entertainment Weekly: The Ultimate Guide to Wonder Woman is available at magazine stands, in bookstores, and online.